Despite what hear, SEO is not dead. In fact, finding a good SEO coach can help you optimize your website and drive tons of qualified traffic to your website to purchase products and services you offer. As someone who's been in the search engine optimization field for over a decade, I can honestly say there are two types of people. The first group is comprised of those who want number one rankings but don't want to do the work themselves. The second group are the do-it-yourself'ers. The reality is that both groups need to have a fundamental understanding of organic search if they want to be successful. SEO coaching is a great way to start. The benefit of using and SEO coach is that simply the efficiency by which they can help you achive your goal. When you start with an SEO program or book such as SEO Made Simple, you'll acquire the fundamentals but they won't be customized to your specific website history and situation. That's why having someone who can understand where you are on the organic evolutionary chain can save you time and money. Just because you want to achieve an online, don't be fooled into thinking you have to start from scratch. What Will Your Coach Do? 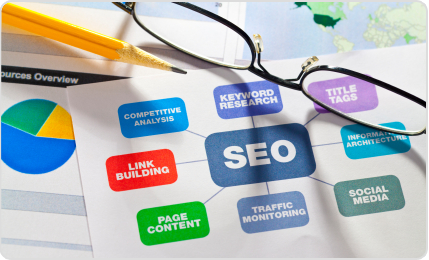 A good SEO coach will begin by understanding your current situation and doing a technical crawl on your website. SEO's have tools they can use to evaluate your site and pinpoint areas that are deficient. With the proper keyword research and technical analysis, you learn about your website's strengths and weaknesses. Both of these factors are essential for achieving your online goals. Often times a technical crawl is all you need to get started. Sites, no matter how bad they are, have some qualities that are worth leveraging and others that need to be brought into compliance with the current Google algorithm changes. Begin your optimization process here and you will see gradual improvements in organic traffic. There are plenty of people out there who claim to be SEO experts. Make sure to ask your potential coach about his specific experience - what sites he's worked on, the company's he has helped, and also, ask him to validate his authority (articles, interviews, books, etc.). You obviously want to make sure you're getting good advice. When I coach others, I like to charge by the hour and work with clients to direct the sessions. Said another way, it's important to work with my clients in a way that allows them to set the agenda while being directed towards a specific outcome. My goal is to teach people to, "learn to fish" organically. Good SEO coached do that. They want clients to be able to recognized good SEO from bad SEO on their own. If you're looking for someone to mentor you in the search engine optimization space, then be mindful of your goals and expectations. Find someone who you can learn from and acquire all the resources necessary for top organic rankings.